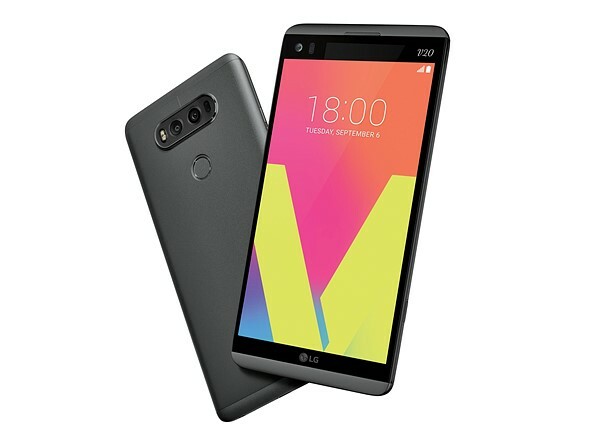 LG has unveiled the V20, a smartphone with a focus on audiovisual performance that is also the first device to come with Google’s Android 7.0 operating system. The latter brings with it the new multi-window mode, a new notification system, improvements to battery management and the in-app search application, which allows for content search from third-party apps. Thanks to LG’s UX 5.0+ launcher the interface looks very similar to the LG G5’s. Also pretty much identical to the G5 is the V20’s camera specification. Like its smaller cousin the new model uses a dual-camera setup. A 16MP sensor is combined with a fast F1.8 aperture and optical image stabilization in the main camera, which is joined by an 8MP/F2.4 unstabilized wide-angle module. There is also on-sensor phase detection and laser assistance for AF. In video mode the new device can record up to 4K resolution and comes with Qualcomm’s new Steady Record 2.0 electronic image stabilization which optimizes synchronization between the image and the device’s gyro. At the front there is a 5MP camera with F1.9 aperture. 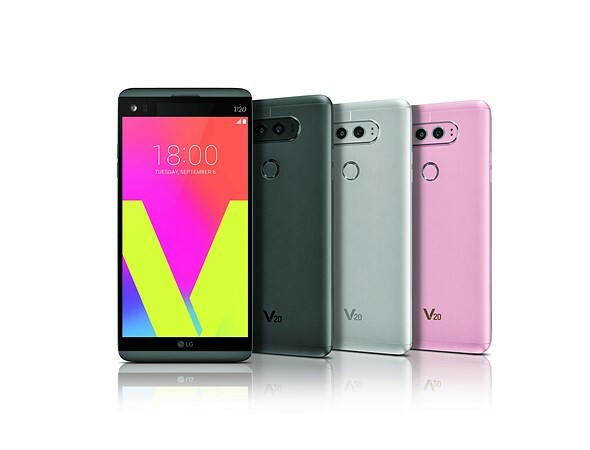 In addition, thanks to a built-in 32-bit Hi-Fi Quad DAC, the V20 can record high-quality stereo sound with its videos and eliminate background noise. Recorded images and video can be viewed on a 5.7″ Quad HD display that, like on the predecessor V10, features a secondary small display for quick access to apps, notifications and quick settings. The Android OS is powered by a Snapdragon 820 chipset and 4GB of RAM. 64GB of expandable storage are on board and the 3200 mAh battery is removable. It also supports Quick Charge 3.0 via a USB Type-C connector. All the components are wrapped up in a smooth-surfaced metal body. The LG V20 will first be released in Korea later this month but availability in other regions, including the US, should be announced soon.